July 01, 2017:With GST kicking in, prices of the Maruti Suzuki Dzire have been revised. Prices have gone down across all variants. Mumbai: The starting price for the sub-four metre sedan now starts at Rs 5.42 lakh, as opposed to Rs 5.73 lakh. That’s a difference of Rs 31,000. Delhi: The starting price for the sub-four metre sedan now starts at Rs 5.42 lakh, as opposed to Rs 5.45 lakh. That’s a difference of Rs 3,000. Before the GST pricing was revealed, the petrol-powered Dzire was priced between Rs 5.45 lakh to Rs 8.41 lakh and the diesel version was available between Rs 6.45 lakh to Rs 9.41 lakh. However, after the recent price slash owing to the GST regime, the new Dzire is priced in the range of Rs 5.42 lakh to Rs 9.39 lakh (all prices are ex-showroom, Delhi). April 24, 2017: Maruti Suzuki Dzire has unveiled the next-generation of the best-selling compact sedan, the Dzire. 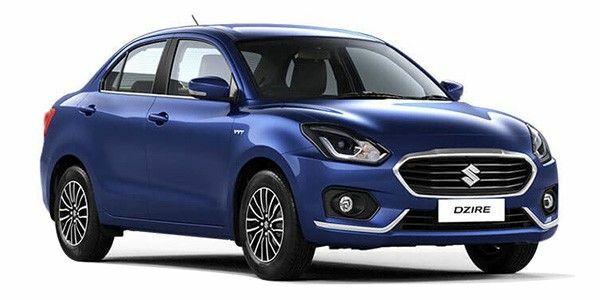 Coming hot on the heels of the recently launched Hyundai Xcent facelift, the latest Dzire will put a lot of potential Xcent buyers on hold until it’s launched in May. The upcoming Dzire shares its platform with the Baleno, which not only gives it more interior space on a lighter chassis but also makes it crash compliant. The body is 40mm wider at 1735mm and has a wheelbase of 2450mm, which is 40mm longer than before. As expected, the new car will come with ABS and dual airbags as standard equipment on all variants along with ISOFIX child seat anchors. Other additions to the car include LED projector headlamps with daytime running lights, a new design and multi-spoke 15-inch alloy wheels. The interiors are updated with the 7-inch touchscreen Smartplay infotainment system that packs Apple CarPlay and Android Auto and doubles up as a display for the rear view camera. There’s now a new flat-bottom steering wheel for a sporty appeal, a redesigned dual-tone dashboard and rear AC vents. The engine option remains the same as before. There’s a 1.2-litre petrol engine and a 1.25-litre diesel engine, both of which are available with a 5-speed manual transmission. A 5-speed AMT is available with the diesel engine as before and the petrol engine will also come with a 5-speed AMT, which will replace the vintage 4-speed torque converter. The car will launch on May 16 and bookings will officially open on May 1. Within almost two months after its launch in India, the new Maruti Dzire 2017 has become more affordable. While the change in price is minimal, this could mean more bookings for the subcompact sedan that already commands a waiting period of 15 weeks. With prices slashed by up to Rs 4,063, the new Dzire is now available in the range of Rs 5.42 lakh to Rs 9.39 lakh (ex-showroom, Delhi). The price reduction is due to the implementation of GST that came into force from July 1, 2017. Maruti Suzuki officially announced the revised prices that have been reduced by up to 3%. While SHVS variants of Ciaz and Ertiga have witnessed sharp jump in prices, MSI is yet to reveal prices for Eeco, Gypsy and Omni models. Currently in its third generation, the new Dzire has received radical aesthetic changes to the exterior. Insides are more upmarket and better packed with an array of new in-cabin tech. Furthermore, the car has even dropped the Swift badge and it comes with the same 1.2-litre petrol and 1.3-litre diesel engines that were used in the predecessor. While the 5-speed manual and AMT units have been carried forward from the previous model, the diesel variants are also offered with the AMT gearbox which was earlier restricted to the petrol line-up. Sitting on the new ‘Heartect’ platform that also underpins Baleno, the new-gen Dzire is 105Kg lighter, yet it is claimed to offer more rigidity and improved performance. With 105kg of weight scooped out from the body, the diesel version of the new Dzire is claimed to more fuel efficient, returning over 28kmpl. Aside from cosmetic updates, the model has also received dimensional changes. That said, the new Dzire sits on a 20mm longer wheelbase and slightly increased widht that provides more space on the inside. Ruling the segment for long, the visually improved and more premium Dzire poses threat to several models in the segment including Honda Amaze, Hyundai Xcent, Ford Aspire, Volkswagen Ameo and Tata Tigor among others. In terms of features, the subcompact sedan receives new tech that makes it safer and more desirable. On the outside, it sports projector headlamps with LED daytime running lights, a new hexagonal grille laden with chrome and LED taillamps at the back. While on the inside, it comes with a touchscreen infotainment system supported by Android Auto, Apple CarPlay and MirrorLink. In addition, there is an auto climate control, leather wrapped steering and flat-bottom steering whee.